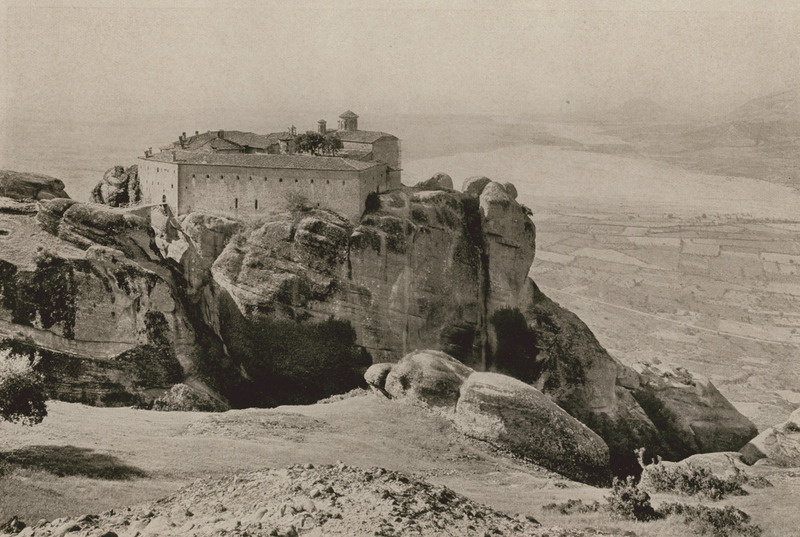 St. Stephen's monastery in Meteora (15th century), from the north. Thessalien-Meteora. Das Kloster des Hagios Stephanos. Um 1400 n. Chr. ; von N.